In October 2011, out of concern for our families’ health and for the environment, we raised the idea of a Takoma Park lawncare pesticide ban. Seth Grimes, a candidate for City Council, responded. Seth was elected and helped us turn our idea into city law. Then, when we joined with parents, activists, and environmentalists around Montgomery County, he answered our call a second time and helped pass the County’s ban. 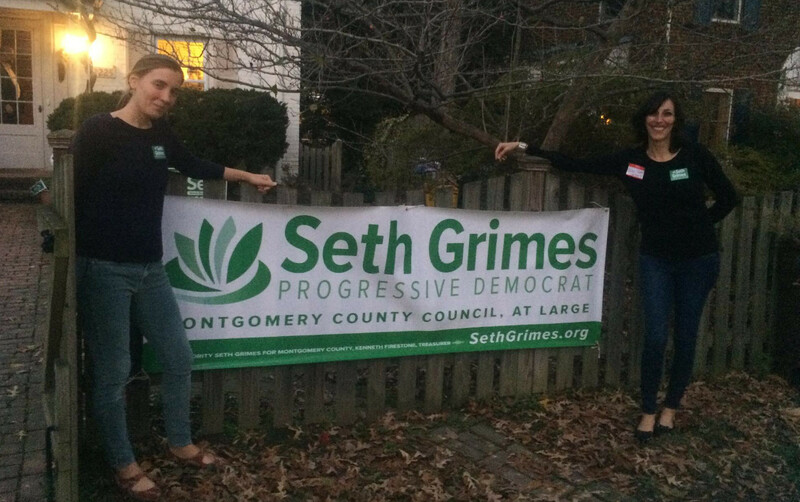 Seth is running for Montgomery County Council, and he needs our help. He is the sort of responsive, experienced, progressive leader our County needs, now more than ever. Three years ago, you contacted the council in support of our pesticide bill. Will you step forward again and join us in supporting Seth’s campaign? Learn more about Seth’s record at sethgrimes.org – his work with Shepherd’s Table and in county social services, to pass a living wage bill, in defense of immigrant rights. One of his signature issues is early childhood education. Seth gets Montgomery County’s needs. Please join us in supporting Seth Grimes for County Council. Please reply to this message if you’d like campaign updates or to help. And your campaign contribution will help Seth compete: sethgrimes.org/donate.It’s a big county. Your support will help us elect a visionary environmental leader to the Montgomery County Council.